I started skiing at Catamount because they had two magic carpet lifts. It may seem like a small thing, but when you’re trying to get two brand new skiers up to speed it really helps. Back then the quality of a mountain’s ski school and beginner lifts were just as important to me as it’s vertical and it’s snowmaking capacity. I tried out a number of different small and medium sized hills before I found Catamount. 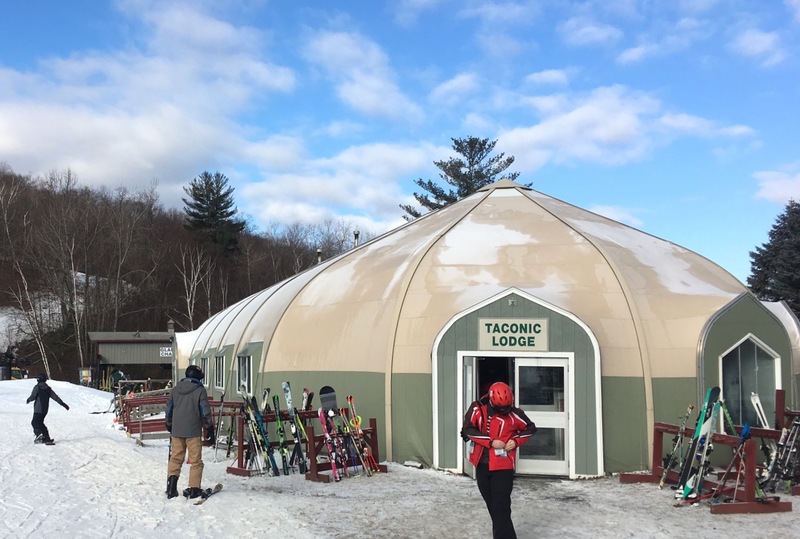 Catamount exists in what I now think of as the sweet spot for family skiing. 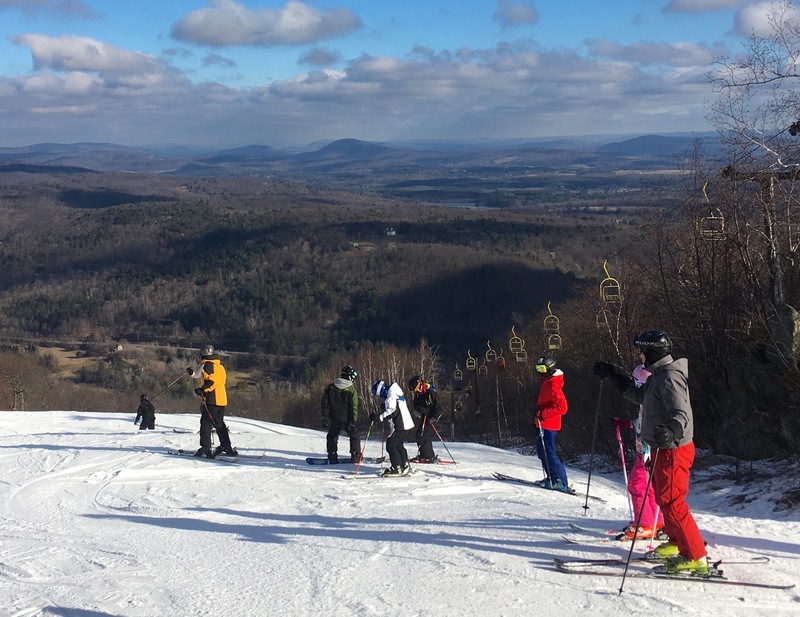 It’s two hours from New York City, has a thousand feet of vertical, a world class kids’ ski program and terrain for all levels. While I was there for the ski school and carpet lifts, Catamount boasts the steepest trail in the Berkshires, Catapult. I’d get there as early as possible, get my kids geared up and enrolled in ski school, and then jump in the singles line for the quad. Some times I would lap Catapult for the couple of hours before I reconnected with my sons. 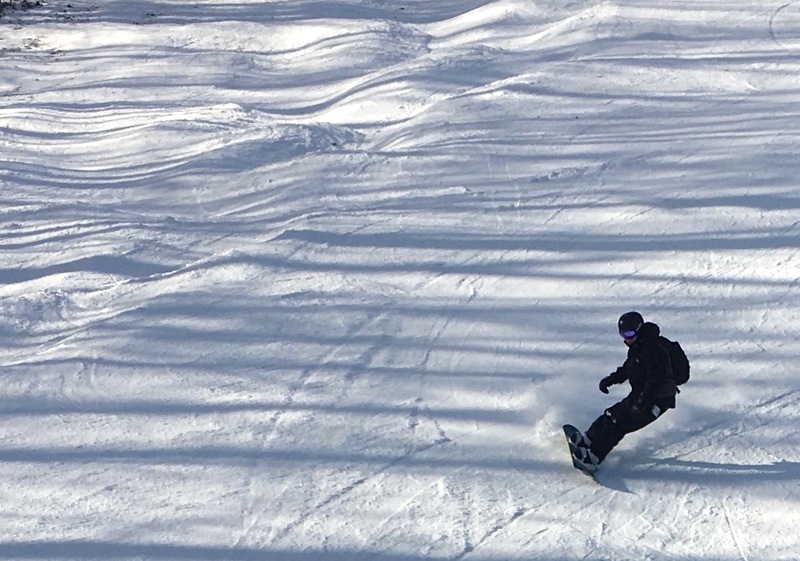 Other times I would mix it up, hit the other expert terrain around the quad or bomber the blue trails to skiers left. Once I’d picked up my kids, we’d either ride the carpet together for a few more hours, or take our time on the green trails accessible off the triple chair. It worked for us. When I went back this weekend, I was solo. My youngest had a team sports commitment and my fourteen year old had school work he had to get done. I was just looking for a fun place to ski, on a holiday weekend, after a vicious thaw. I spent a couple days looking at conditions reports, considering the holiday crowds, basically dithering. When the time came, I found myself driving up the Taconic State Parkway, eager to reacquaint myself with Catamount. I wasn’t disappointed. I arrived fairly early but the parking lot was already full. My car said it was 29 degrees outside. I booted up at the car, grabbed a ticket and started my day in the Glade chair, the bright yellow fixed grip double. I did a warmup on an intermediate trail called Sidewinder. I was pleased to find the effects of the last week’s warm weather had effectively been addressed by Catamount’s snowmakers and groomers. The skiing surface wasn’t perfection but there was soft with loose snow on top of a firm base. It was fast and forgiving, if not hero snow. I sped back to the base area and jumped on the singles line for the quad. My second run was on Catapult, Catamount’s signature double black diamond. It’s a fun trail that is legitimately steep and I spent about half my day there. I did try to ski every trail on the mountain, but I didn’t quite make it. It was a holiday weekend after all. The lines were long so I depended on the quad’s singles line to stay in motion. One of the nice things the quad is that it serves the entire mountain, including a nice 2.5 mile cruiser to skiers’ right. Catapult is right beneath the lift and the other expert runs are nearby. I lapped my favorites, zooming down to get back in line. Catamount was as much fun as ever, with or without kids. I stayed almost until closing, enjoying the easy conditions and bright sun. Skiing began here in 1939 and the mountain still retains that old fashioned New England charm that I love. Ski hero Toni Matt was mountain manager at Catamount in the 60’s thru the 80.s. Have to agree with you! 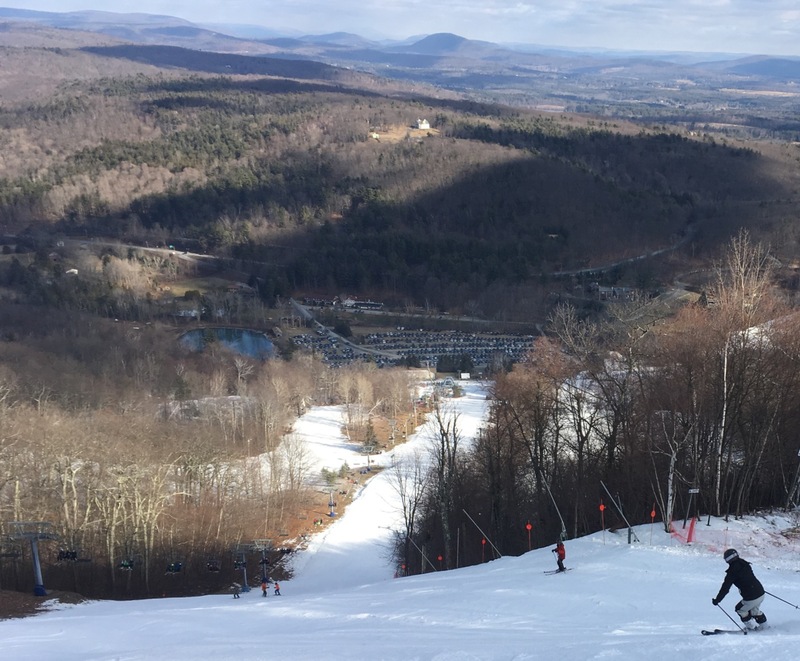 Love Catamount, it’s the perfect combination of not too far, just enough vertical to make it challenging and enough terrain to make everyone in the family happy to ski for the weekend! It is also generally NEVER crowded (except for MLK Sunday, and even then it’s nothing compared to other mountains). It is a family friendly place, with helpful staff and the owners like to keep it that way! Very cool. I used to daytrip there with my dad on weekends when I couldn’t get to VT. I always liked the hill. Those trails on the right side had a ton of character and skied pretty long for a mom and pop! When they opened Catapult(?) it added some extra difficulty. If I lived in the area I’d certainly give it a look, but I would be stuffing their suggestion box to have them take it easier on skinners. That’s where I and my kids learned to ski. Instructors were always very nice. Gets pretty crowded on the weekends, especially on racing days. I like the narrow trails through the woods. It’s a homey kind of place. However, if I could do it again I would probably have moved to Belleayre a little sooner — I like the wider blues. I love getting comments on these pieces. I always learn something more about the subject. I didn’t know Toni Matt was involved with Catamount for instance. Thanks for reminding your readers about Catamount. 1/2 of the mountain is in NY(including Catapult) and 518 is the area code. 32 trails have snowmaking and the Birch Glades had skiers between the trees through March 25th thanks to Stella. 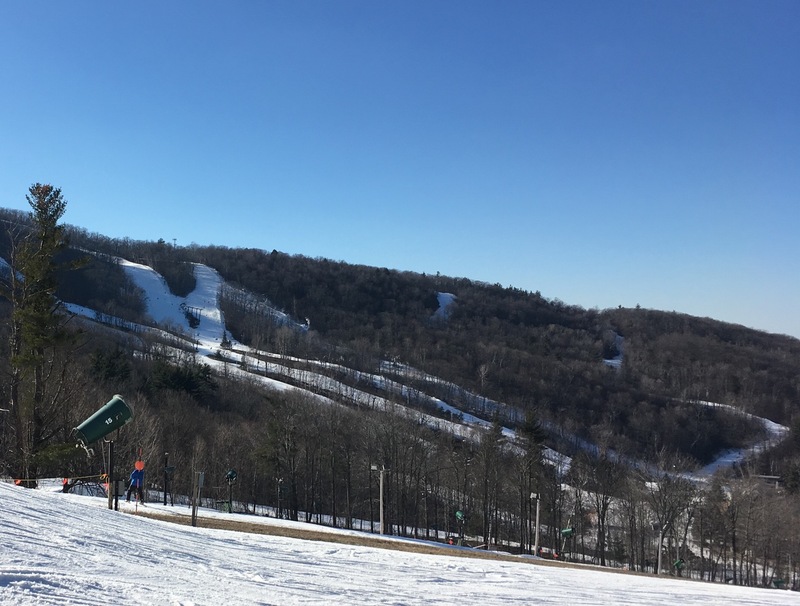 28 trails were open on April 2nd. There is a Toni Matt photo in the lodge too. 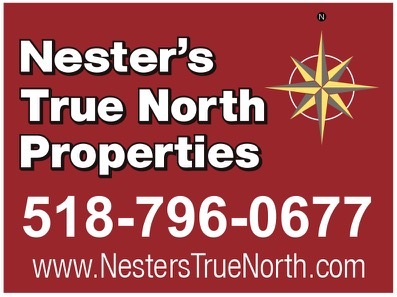 He was the Ski School Director at Catamount in the 60s and early 70’s while he resided in Pawling, NY. You’re welcome. Thanks for the additional info. I’m looking forward to getting back there next year.